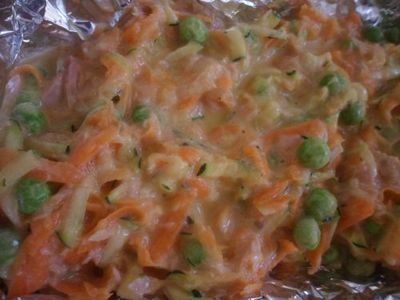 A delicious vegetable slice that's packed full of healthy stuff! Pop some in a lunch box, chop large pieces with some sides as part of a family lunch or dinner, or use portions as a side to an even more amazing dinner. Preheat the oven to 180 degrees C and line a slice baking tin. 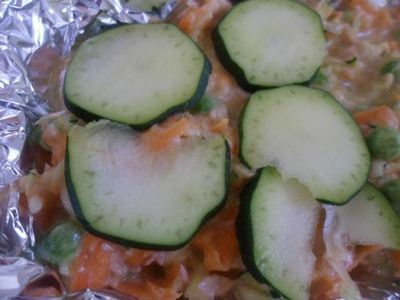 Coarsely grate the zucchini, carrot and cheese. Slice the ham into smaller pieces. Set these aside. Place the eggs and oil into a mixing bowl and whisk until combined. 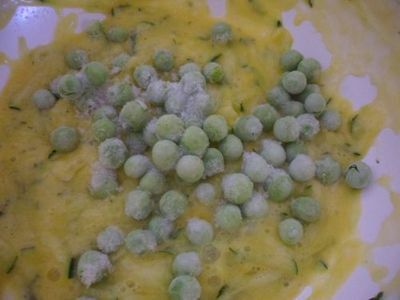 Add the grated zucchini and peas and stir through. 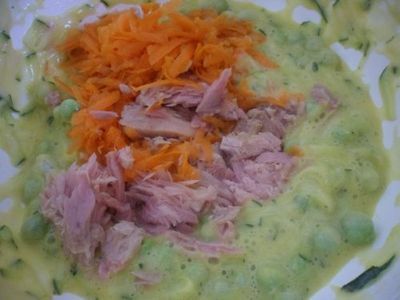 Mix the carrot, ham, and cheese into the zucchini mixture as well. Spread the mixture evenly over a slice tin. 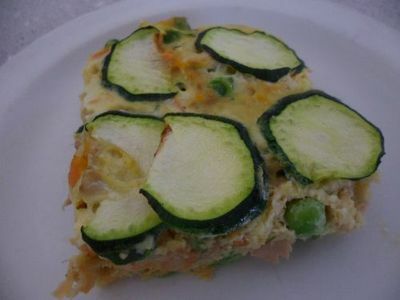 Place a layer of zucchini slices on top. Bake for 20-35 minutes, or until cooked through. Allow the slice to cool slightly then slice into pieces to serve warm, or let the slice cool completely then slice it up and store the pieces in an airtight container to pop into a lunch box.